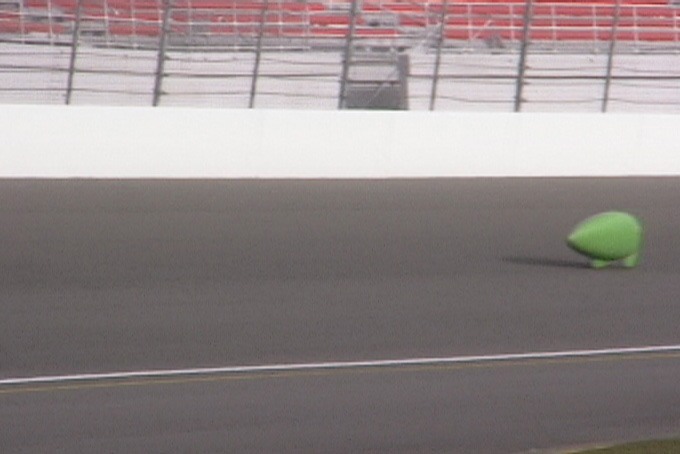 Matt rode a few fully-faired laps at speeds in the 52-53 mph range. However, he found the vehicle was not tracking properly due to a misalignment between the front and rear wheels. This affected the stability and handling of the vehicle, precluding any attempts at HPVA records or the Dempsey-MacCready Hour Prize. 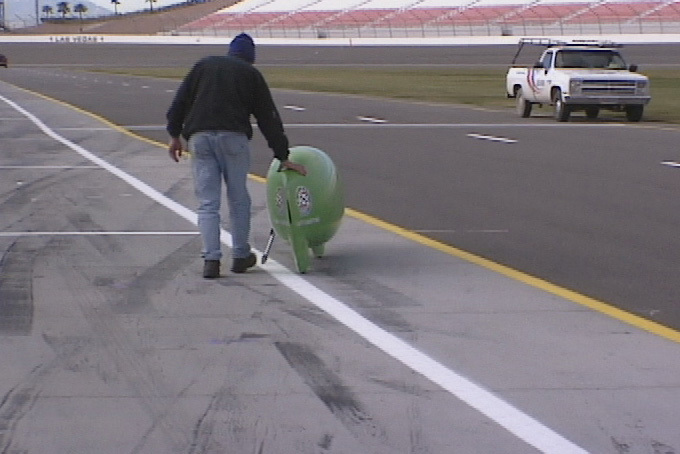 The necessary repairs were too substantial to be quickly made at the track. 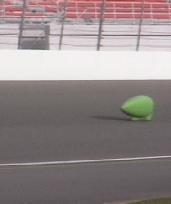 Matt has returned home and plans to run for the record later in 2000. Please click on each image to see a larger version. Inserting the pins that hold the two fairing sides together. Taping the two fairing sides together.